It’s easy to focus exclusively on the content of your messages when it comes to creating engaging emails. But all too often, it’s the interactions at a more fundamental level that will make the most difference. If you’re not considering these four engagement opportunities, you could be missing out on the chance to earn or keep the attention of your subscribers. Verify new subscriber requests by sending a confirmation e-mail that must be clicked for final activation. This ensures that the right person signed up using the right e-mail address and that they’ll be expecting your messages. Let the subscriber know how often to expect messages and what kind of content they can expect to see. No surprises. Don’t settle for boring or generic welcome letters. This is your chance to get the subscriber excited about the wonderful messages he’ll be receiving from you. Send the welcome letter promptly and start by thanking the subscriber and remind him or her of the current opt-in preferences. Personalize the message with the subscriber’s name so they are connected by being addresses directly. And offer your new members reasons to be immediately engaged with you or your company; provide valuable content such as a link to special promotions on your website, a link to a previous newsletter, or a new subscriber discount offer. The subject line is your chance to grab subscribers’ attention and tell them your email is worth opening. Don’t focus on gimmicks to avoid the spam folder; instead, show the subscriber that you respect their time by clearly relating what he can expect to see when he clicks. 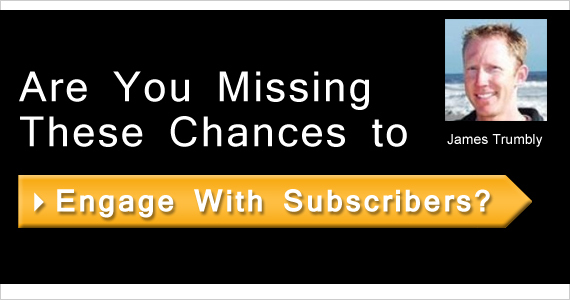 Although often viewed as distasteful, the unsubscribe page can be a chance to create a positive impression even for dissatisfied subscribers. Make the unsubscribe link clear and easy to follow from your email; don’t try to hide it. On the unsubscribe landing page, remind the subscriber of the great benefits they’ll be missing out on when they leaves and let them know you’ll miss them. Ask for feedback (but don’t require it), giving the subscriber a chance to share his feelings. And finally, when all is said and done, make the process easy, clear, and prompt. Use eConnect Email’s list management feature, email creation templates, and autoresponders to ensure that you’re taking full advantage of every opportunity to engage with subscribers. Let them know you value their loyalty by treating them respectfully at every stage of the email campaign.